Breast cancer will affect an average of one in eight women sometime in their lifetime. It is the second most common cause of cancer related deaths in women. Numerous studies prove that early detection, is a vital component in the successful treatment of breast cancer. Mammograms, an X-ray of the breast, are the best way to find breast cancer early, when it is easier to treat and before it is big enough to feel or cause symptoms. Regular mammograms are the best tests doctors have to find breast cancer early, sometimes up to three years before it can be felt. Overall, mammograms can lower the risk of dying from breast cancer. You will stand in front of a special X-ray machine. A technologist will place your breast on a clear plastic plate. Another plate will firmly press your breast from above. The plates will flatten the breast, holding it still while the X-ray is being taken. You will feel some pressure. The steps are repeated to make a side view of the breast. The other breast will be X-rayed in the same way. You will then wait while the technologist checks the four X-rays to make sure the pictures do not need to be re-done. 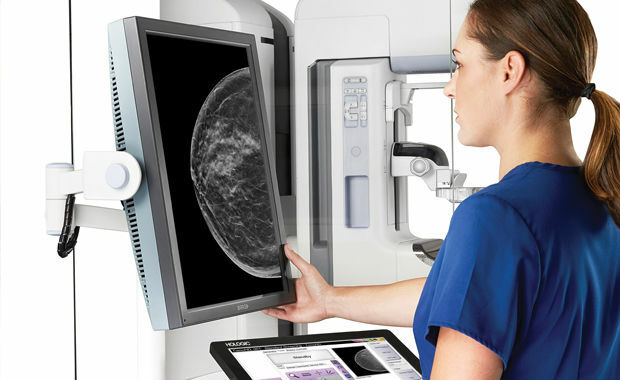 Keep in mind that the technologist cannot tell you the results of your mammogram. Each woman’s mammogram may look a little different because all breasts are a little different.